Maintaining an optimal level of oral health is important when it comes to your overall and long term health. Keeping your teeth strong and healthy is a vital task, in other words, and this is especially true when it comes to maintaining a good quality of life. Should your teeth become decayed or unusable, you could find yourself struggling to eat, drink, or even just speak as you normally would when your teeth were functional. There are options to keep in mind should you find yourself with a tooth that needs to be replaced, however, and you can still live your life as you normally would. 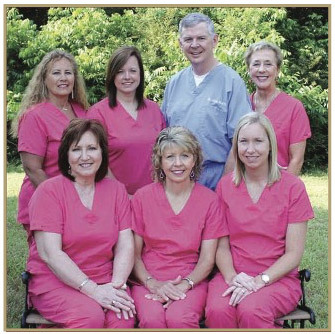 Dental implants are a fantastic option that we at South Main Dental are proud to offer our patients. Dental implants are artificial “root systems” for replacement teeth. That means that they are inserted into the empty socket where a tooth used to be located, and eventually become a part of your mouth just like a natural tooth. Note that dental implants are generally created from metal that is rust resistant and very strong. They can last over 25 years with the proper care and attention, too, which is great news for anyone who would prefer to not have repeat dental surgeries for the same issue. Why might I need dental implants? 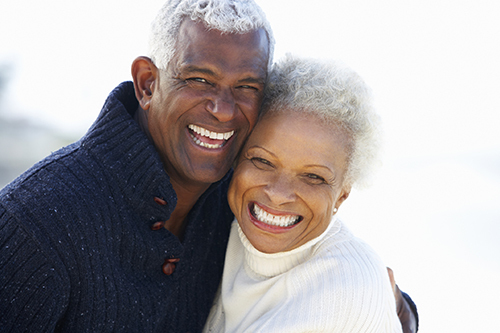 There are a wide variety of reasons why you might need dental implants. If you are involved in an accident of some sort, for example, and one of your teeth is damaged to the point of being irreparable, you might need a dental implant placed once the damaged tooth is removed. The same holds true if you have to have a tooth extracted due to disease or decay. Dental implants are important because they help maintain the structure of your mouth and jaw. You might not be aware of this, but sometimes the teeth that remain after one is pulled tend to “drift” from their places, altering your bite and making eating and speaking more difficult. Your jaw bone might also begin to erode where the missing tooth used to be, which can affect your appearance and the health of your remaining teeth. Instead of allowing the above to happen, dental implants are placed to help keep your remaining teeth and your jaw healthy and strong. In addition, dental implants are important because they can help patients live their lives normally. Dental implants function just like natural teeth do, in other words, and can help you continue to live your life like you did before the implant was placed. No one wants to experience the kind of reduced quality of life that comes from being unable to chew or speak properly, and with dental implants, you won’t have to. Dental implants are, in general, one of the most effective options for restorative and reparative dentistry out there. If you find yourself with a missing tooth and are not sure where to go, give us a call at (662) 586-2311 and let us help.